A new week, a new episode of Retro Gaming Nerds! 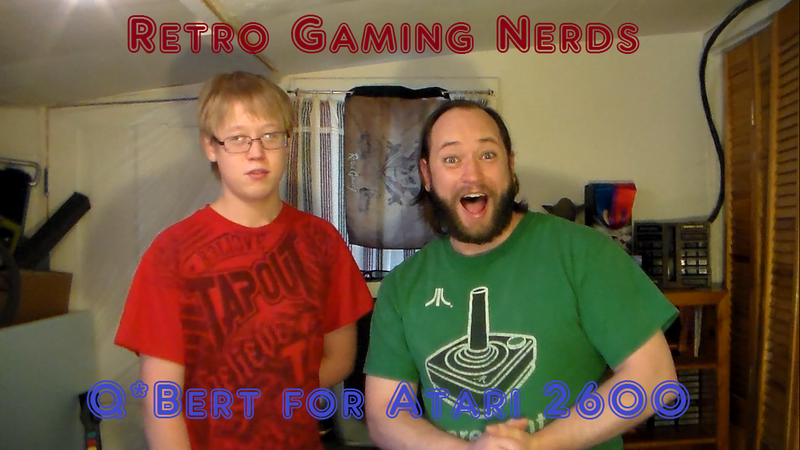 In this weeks episode, we are playing Q*Bert for the Atari 2600. In this classic, you are a weird little round guy hopping from cube to cube on an isometric pyramid changing them to a different color to advance to the next level. The game was released in 1982 by Gottlieb in arcades. Parker Brothers secured the license to publish home conversions of the Q*bert arcade game. Parker Brothers first published a port to the Atari 2600. By the end of 1983, versions for Atari 5200, Intellivision, ColecoVision, the Atari 8-bit computer family, Commodore VIC-20, Texas Instruments TI-99/4A and Commodore 64 we released with varying levels of success.